With this year’s UK summer set to be one of the hottest on record, you’re bound to be out and about with your pets. However, with its benefits comes its dangers, so we’ve put together a pur-fect summer guide to ensure your pets’ safety over the hot and dry months. Given that a dog’s water reserve is around ¼ of the human water reserve, it is important to ensure that your dog has plenty to drink by offering them fresh water every 30 minutes, especially in hotter weather. Unlike humans, dogs cool down through panting and drinking water, so even more reason to make sure your dog has unlimited access to water! The amount of water needed for your dog depends on the size, activity level, age and weather at the time. 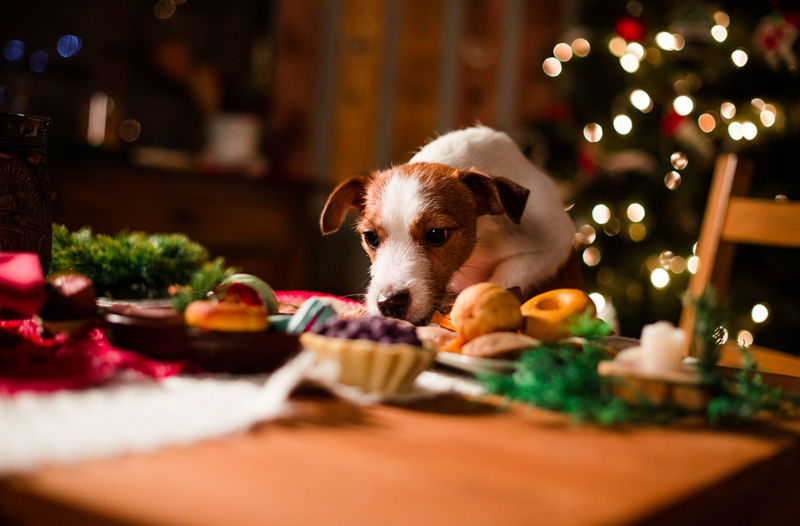 As a general rule, your pooch should drink between 55 to 110ml per kilogram, per day. 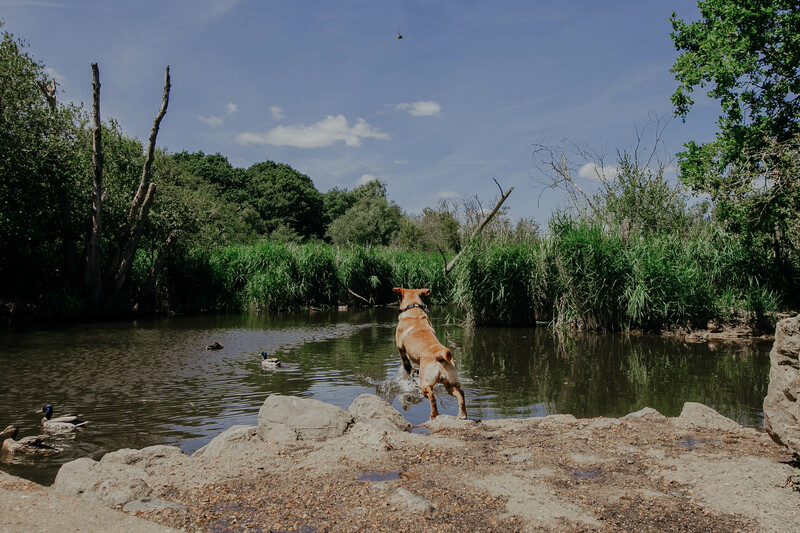 If you’re worried about going out with your dog while the weather is still scorching, the RSPCA suggests letting them have a play around in a paddling pool, there’s no doubt your pooch will love this! Yes, animals can get sunburned! All pets including dogs and cats can get sunburned. 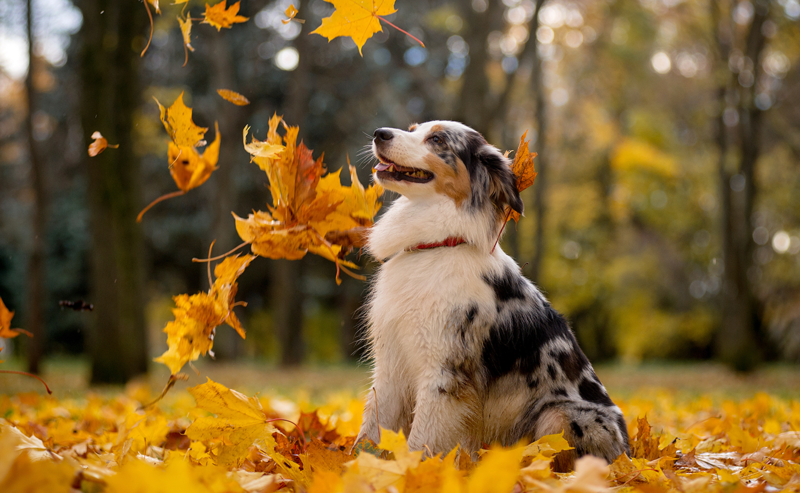 Those with light or short coats are more susceptible to getting burned, while all dogs and cats have a risk of getting burnt on sensitive areas such as the nose, mouth, ears and belly. Overexposure to the sun for your pets can lead to painful burns and skin cancer, just like with people. The most simple and best way to prevent sunburn in pets is to keep them in the shade as much as possible, especially during the hottest times of the day. On the other hand, if your pet is susceptible to sunburn, there are many pet-friendly sunscreens available. Dogs’ paws can burn on hot pavements and surfaces. As a general rule, if a surface is too hot for your hand, it’s too hot for their paws. To avoid your dog’s paws getting burnt on the pavement, try to walk them first thing in the morning or in the evening when it is cooler. Increased breeding in the summer months from these parasites means that there is more chance of your pet being bitten, especially as we are spending more time outside. Flea bites can often cause irritation or allergic reactions and tick bites can carry diseases, the most common of which is Lyme disease. Of course prevention is always better than a cure, so make sure to wash your pet’s bedding regularly and try flea and tick prevention shampoo. If your furry friend is experiencing any of these symptoms, take them straight to the vet. In summer, a car left outside in the sun can rapidly turn into an oven, even if the weather doesn’t feel that hot. If it is 22°c outside, the temperature in a car can rise to 47°c within an hour – unbearable to both humans and dogs! Leaving the windows open or leaving out water for your dog left in a car is not enough to protect them from the heat. With this in mind, never leave your dog alone in the car! If you do spot a dog in suffering inside a car, official advice is to call 999 and ask for the police. They will then advice you what to do dependent on the situation. If you dog appears to be lethargic, drowsy or uncoordinated. If your dog shows any signs of having heatstroke, move them to a cooler area in the shade and call a vet immediately. The normal body temperature for a dog should be between 38°c and 39°c, if your dog’s temperature is above this, you should also call a vet immediately. 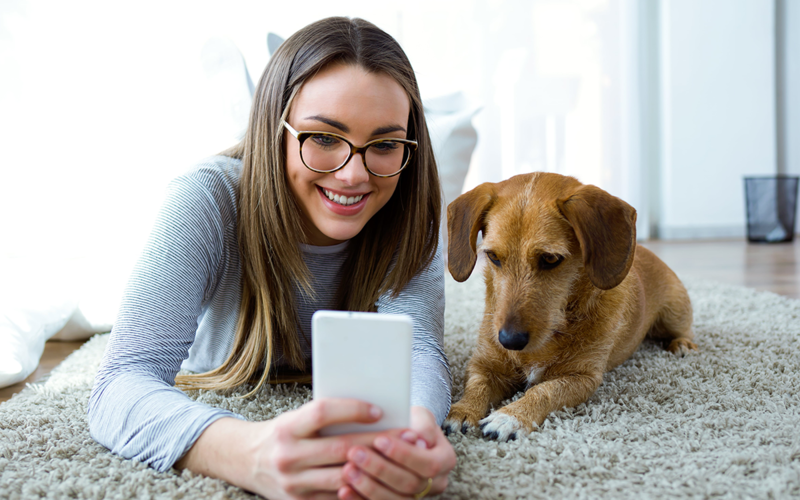 You can measure your dog’s temperature with the PetScanner microchip reader (if they have a thermal chip) and view it on a graph on the app. Walk your dog at cooler times of the day as mentioned previously, for example in the early morning or evening. Watch out for early signs of heatstroke and call a vet immediately. Make sure your dog has access to water at home and on walks – be careful to ensure they drink it in small doses and not in one go! Make cooling treats for your dog (and other pets) by making ice cubes with their favourite treats inside to keep them hydrated. Have a splash around with your pooch in a paddling pool… fun for both you and your pet. Short nosed dogs such as boxers, pugs, older and overweight dogs are more susceptible to heatstroke so keep an eye out when they are exposed to the heat. 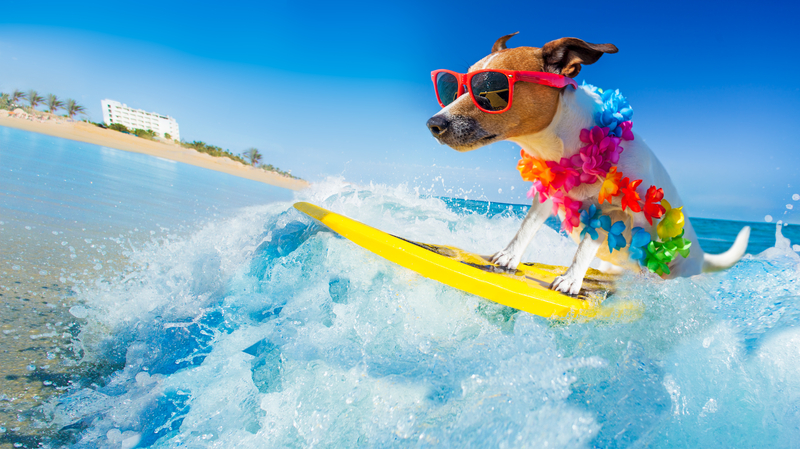 With these tips and tricks, we hope you and your furry friends can enjoy a perfect summer together! 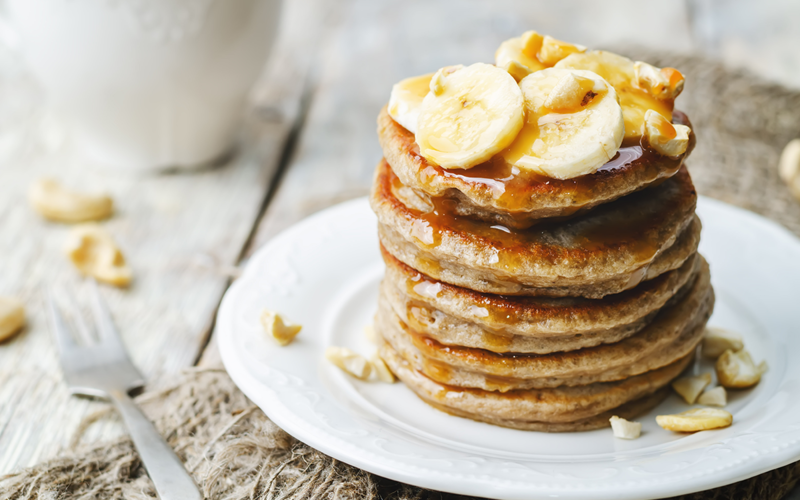 Healthy pancake recipe for you and your dog!